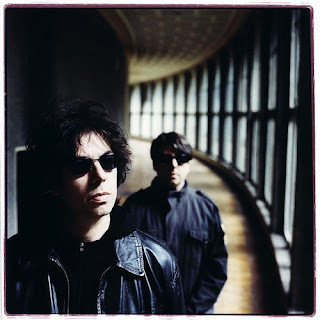 Today classic British alt-rockers Echo & the Bunnymen announced upcoming U.S. tour dates in support of their forthcoming album, The Fountain, and the jaunt will include a November 25 stop at Metro. The Fountain marks the band's eleventh studio record and is out on October 12. To give a taste, the Bunnymen recently made album's first single, "Think I Need It Too," available to hear in full via their official MySpace page, alongside brief clips of a few other new songs. The announcement follows the sad news of the death of the band's long-time keyboardist, Jake Brockman, who died in a motorcycle crash last week. His work will appear on the new record. Tickets for the Metro show go on sale September 12 and can be purchased here. Why doesn't the Chicago show appear on TicketMaster?